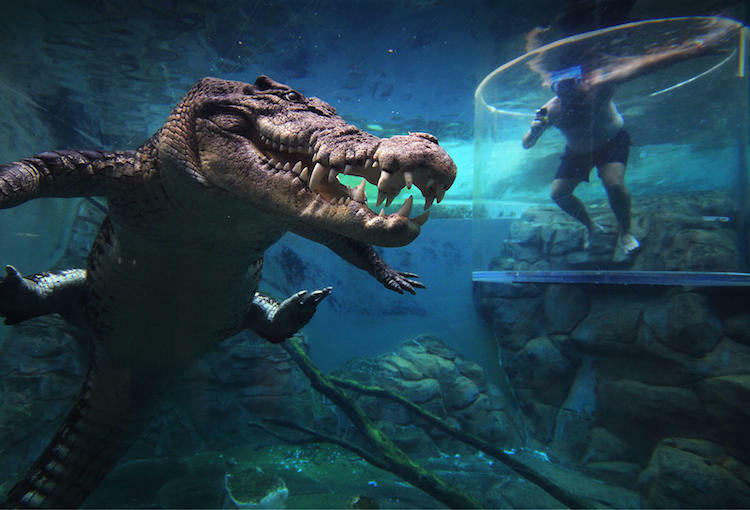 The Crocosaurus Cove is the only place in Australia where you can dive with crocodiles! 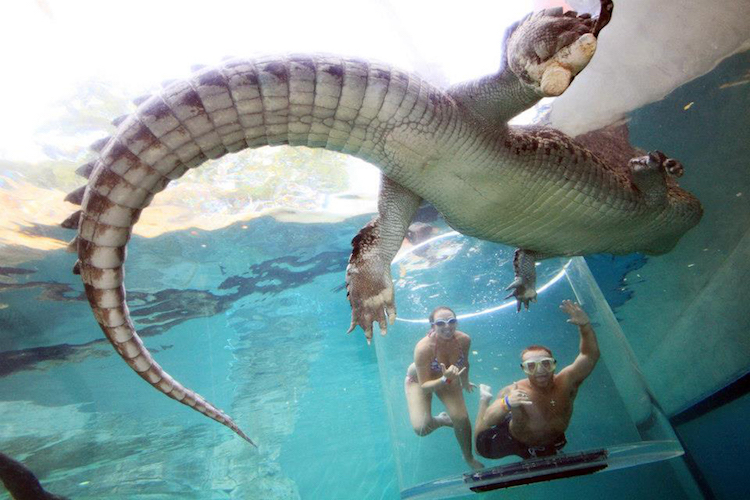 Located in the heart of Darwin City, you can experience the thrill of sharing the same swimming environment as a 5m+ saltwater crocodile. 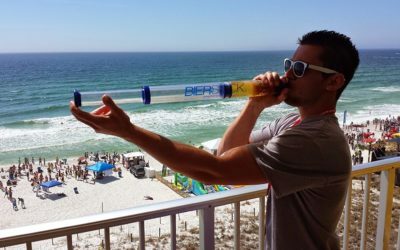 The dive is operated using an over-head monorail and it’s designed for 1-2 people. 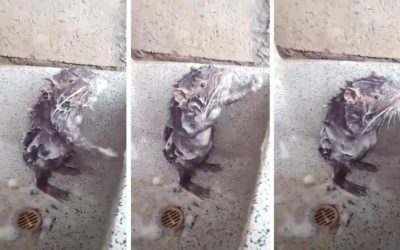 You’re first suspended above the crocodiles before being lowered into the pen. 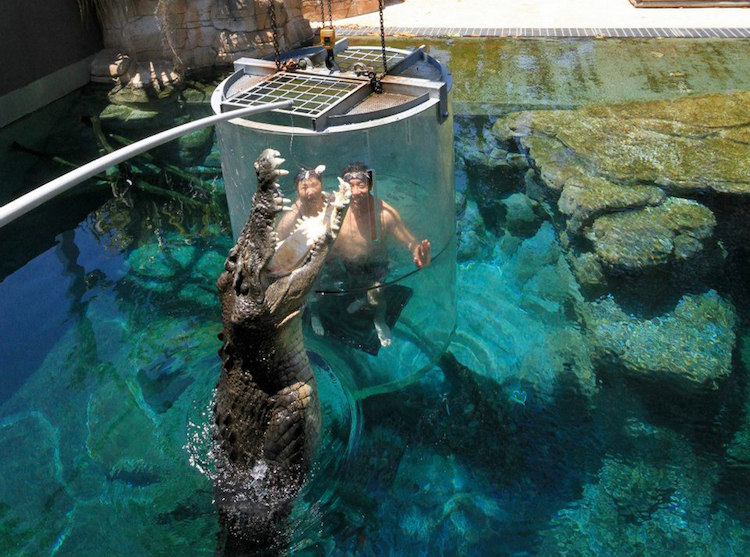 Each dive lasts about 15 minutes enclosed with one of the massive crocodiles. The crocodile handlers will be regularly feeding the crocodile while you’re inside, encouraging more movement. On-site photographers also capture the amazing both inside and outside of the crocodile enclosures. 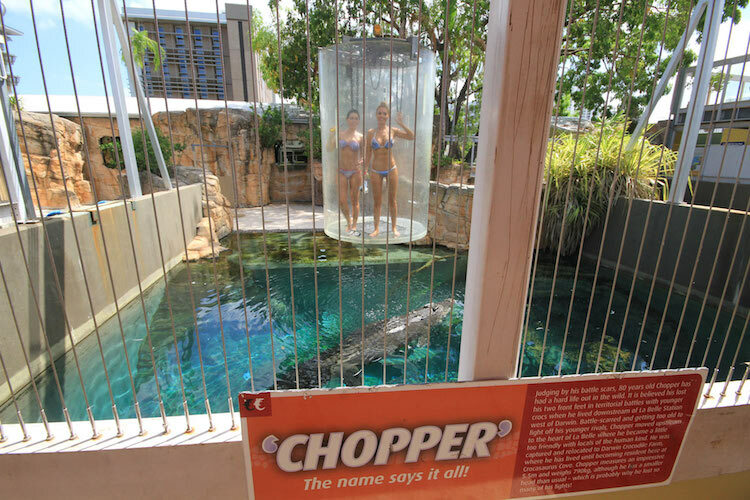 4 of the notable crocodiles that inhabit the pen are: Chopper, Axel, William and Kate. The minimum age to participate in the Cage of Death is 15 years of age and teens aged 15 – 17 must be accompanied by a guardian older than 18. 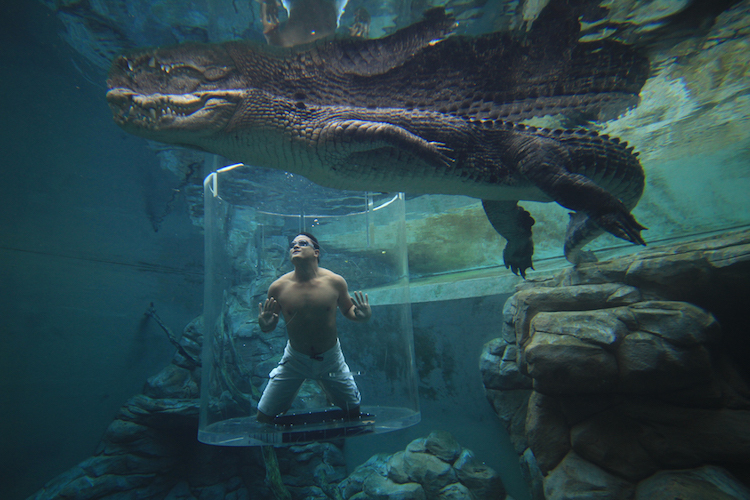 This experience is a once-in-a-lifetime chance for you to get 360 degree views of these large, massive crocodiles. 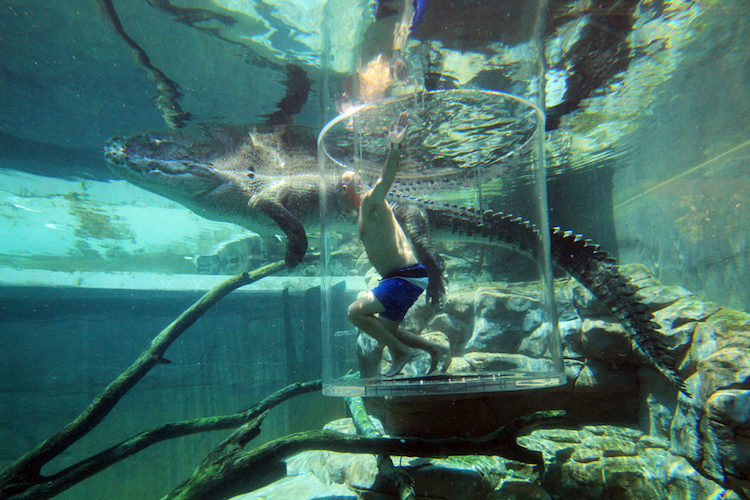 There are 11 crocodile dive sessions ran through the day between 9:30AM – 5:00PM daily. Visit the company and book your tickets for the experience on the website here.